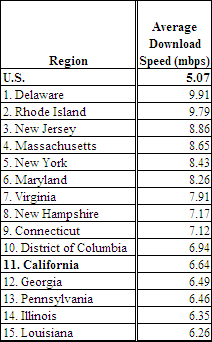 How does your state rank? I live in CT and ranked #9. Not bad, I know from personal tests that my speed is faster than average, so I’m stoked! Read more about the study. Well Internet Explorer 8 is out, and Microsoft is turning out some decent commercials for it. A LOT better than the commercials with the dynamic duo of Bill Gates and Jerry Seinfeld months ago.